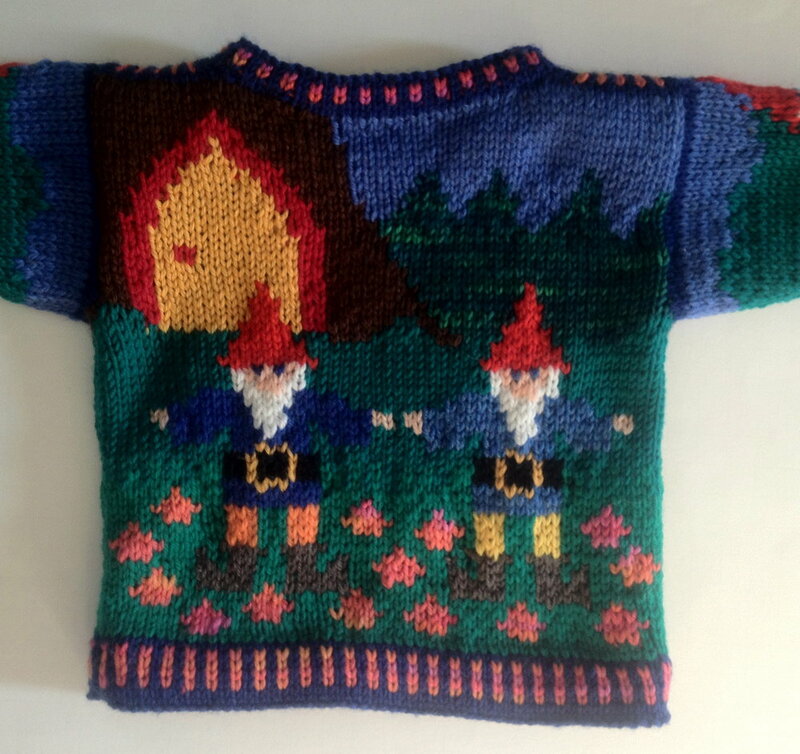 This is an adaptation of the Gnomes Three Years sweater. Here there are only two gnomes standing before a door in the base of a tree. They stand in a field of tiny variegated red flowers, with much greenery behind them. One gnome stands alone on each sleeve. The neck, wrists, and hem trim is alternating stripes of variegated red and dark blue. Is this practical for a six month old? I really think it needs a clasp opening at the neck, at the very least. I've never liked the shoulder button openings I tried when I first started knitting. I would redo this with a clasp. 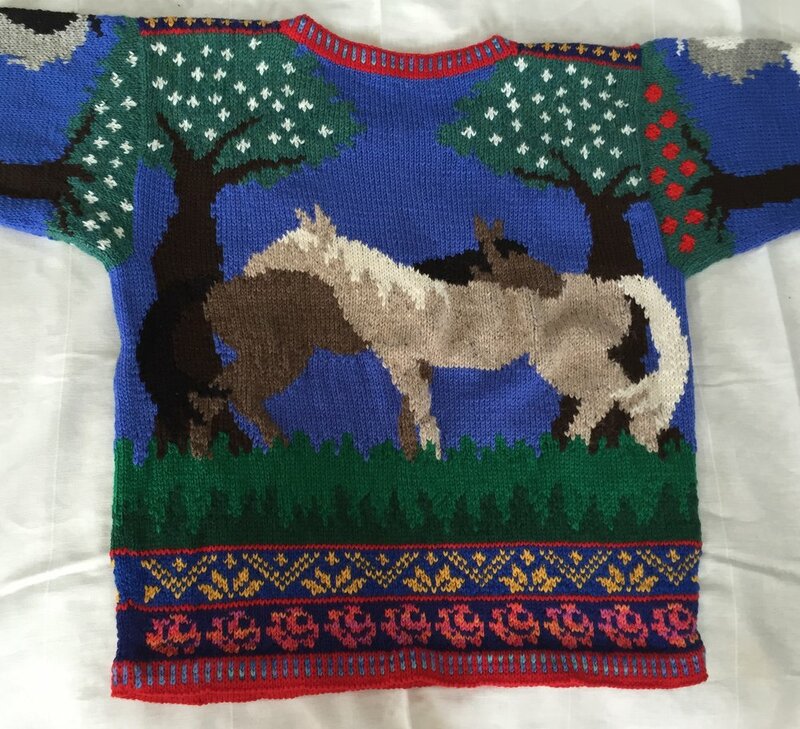 Here is a the original version of the Horse Seven Years sweater. This was knit for the older sister of the twin boys who liked tractors, so the same apple trees in various states of development appeared on this farm scene. I tried to included as many colored horses as my yarn supply could muster. 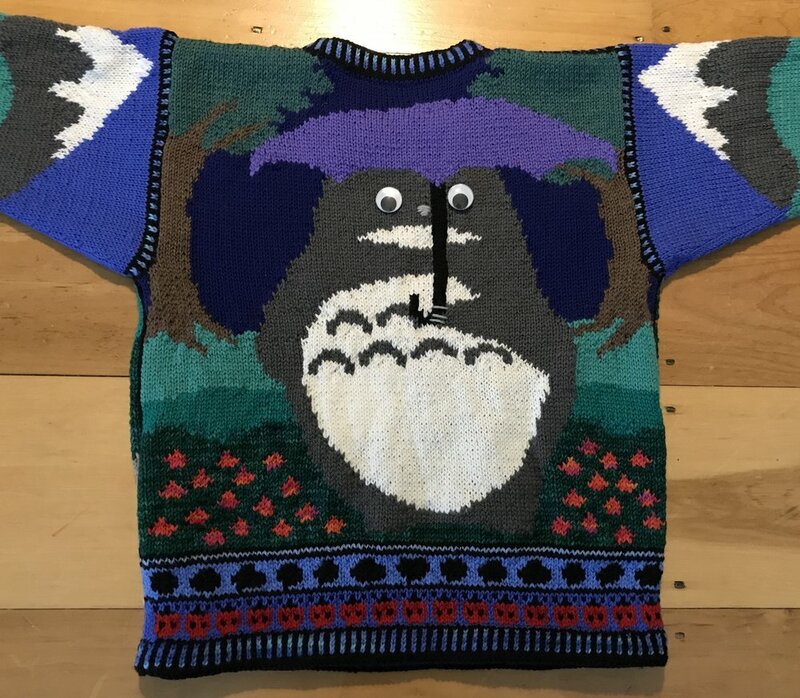 This was an adaptation of the Lighthouse One year sweater. 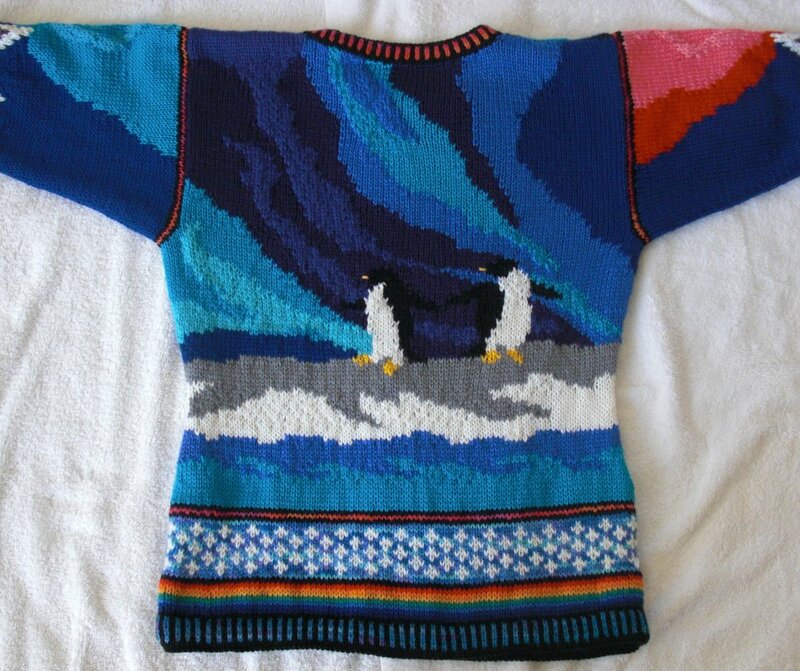 This is an adaptation of Levin's Northern Lights sweater. Here the sides curve in, for this was knit specifically for a teenage girl. 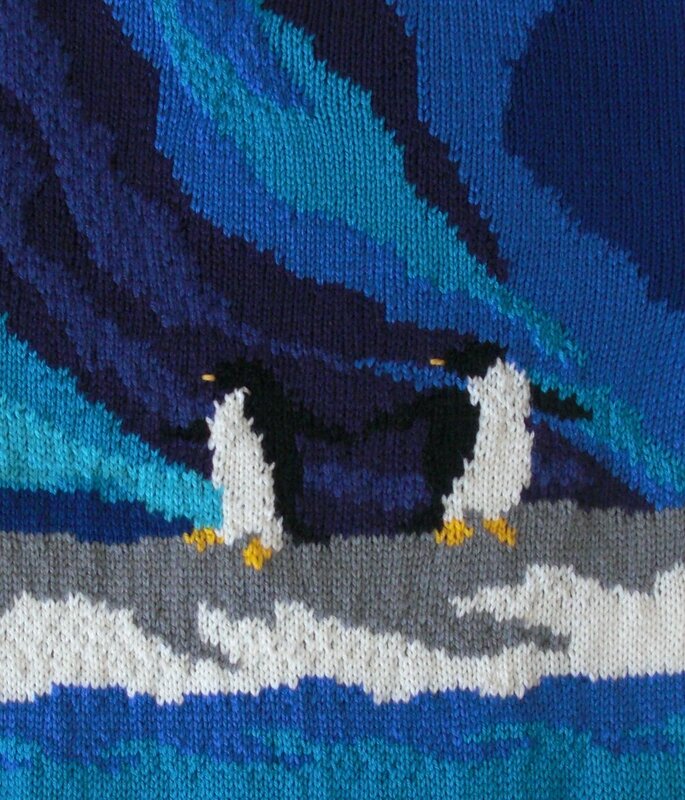 The Northern Lights sweaters lend themselves to so much variation, depending on the color schemes that appeal. 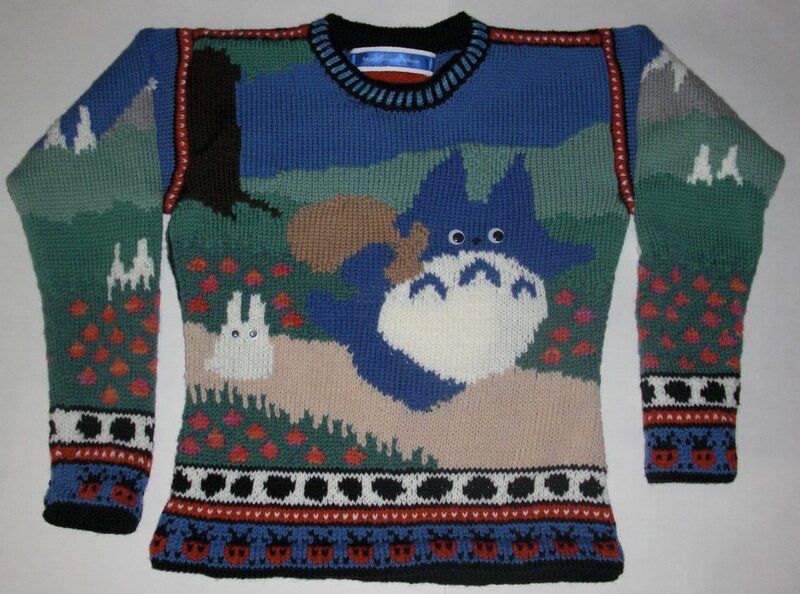 And Totoros. This is a very simple version. It must have been an early version. As I kept knitting these, I had to add elements to entertain myself: See below. And here there are full trees in the background.